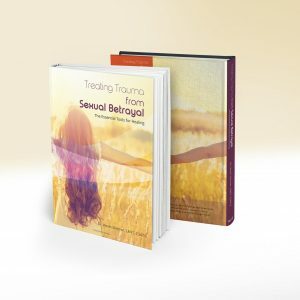 I have asked my team to package the e-book, Treating Trauma from Sexual Betrayal and the 10 Training Online Video Classes together. When you purchase the package you will be given immediate access to a digital copy of the book and the 10 video classes. This package would be equivalent to spending more than six hours with me in therapy–a $750 value. In an effort to make the e-book and 10 online video classes as affordable as possible, I have asked my team to give you a significant discount. For a one time cost of $99.95, you can discover how to apply the essential tools for healing in your life. You can get unstuck from your pain and genuinely begin the healing process.